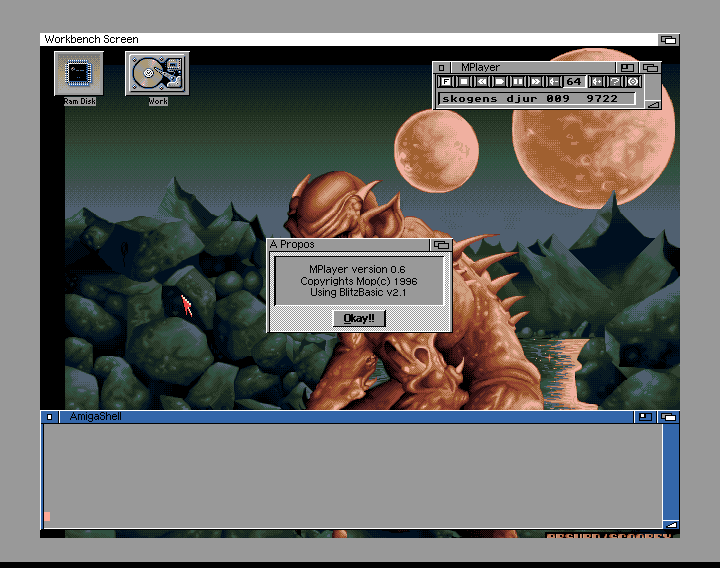 MPlayer 0.6 is a small music player for your Workbench. It supports the most standard formats, allowing you to listen to modules made with Protracker and Noisetracker. It has support for tunes made in Octamed, as long as they don't use more than four channels.